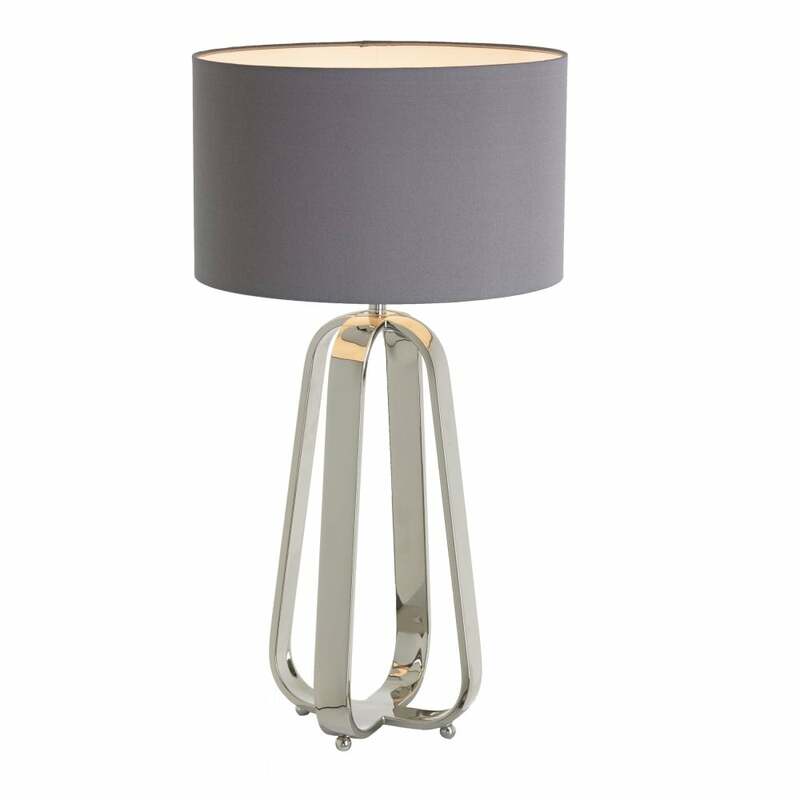 Subtle glamour emulates from the chic and stylish Victoria table lamp from RV Astley. A sleek and shining base with spherical curved lines tapers upwards to a circular shade. The simplicity of the nickel base creates an elegant interior feature. The silver-grey shade is the perfect partnership. Style in the living room on a classic side table for a complementing lighting feature. The delicate lamp could be placed either side of the bed on cabinets for a beautiful bedroom finish. Combine with the nickel Victoria floor lamp for an exclusive ambience.